Our son Rowan left this world December 15th, 2016 at the age of ten years old. In those 10 years, he spent a third of his life in the hospital including his last 6 months, as he went through 2 bone marrow transplants in a row. He taught us so many lessons through his life long battle though. He was tough as nails, with a heart of gold, and the faith of 100 men combined. Not a day went by that he didn't say "I love my life!" And he truly meant it. I have had the wonderful opportunity to serve on the Methodist Children's Hospital Family Advisory Board over this past year. We work with the staff at the hospital and try to find ways to improve processes and experiences, to bless the patients and their families, as well as support the nurses and staff. 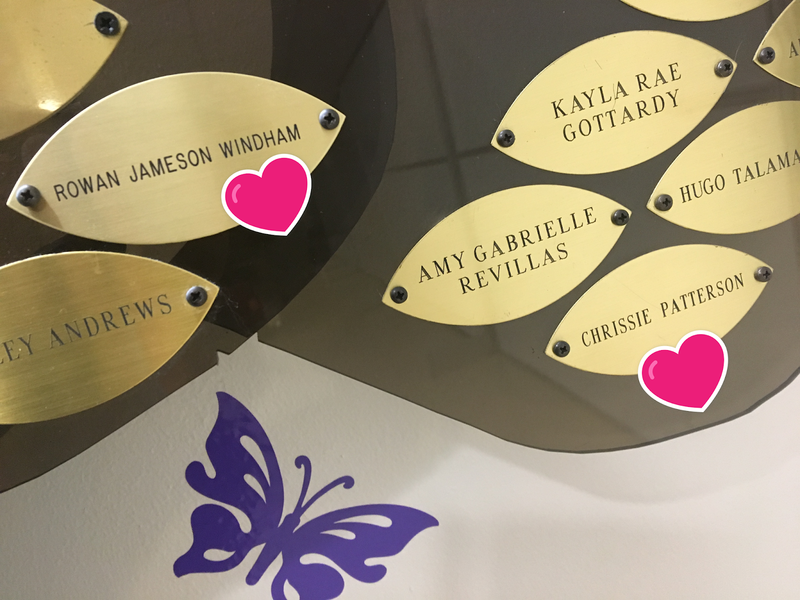 One of our big goals was to honor the patients we have lost and provide their families with a semblance of peace. We wanted them to know that their child's life mattered, not just to them, but to the hospital staff as well. This past Fall we hosted the first Remembrance ceremony, and last night we hosted the second one. Families were invited to come and bring a photo of their loved one. I was lucky enough to be in charge of decorating the table where we would place their tea lights as their names were read by the Chaplain. I chose a nice green table cloth and a vase that looked like a tree, as the ceremony happens right in front of the hospital memory trees. Child Life had recently added brightly colored butterflies around the trees, so I created a bright bouquet of flowers to match. 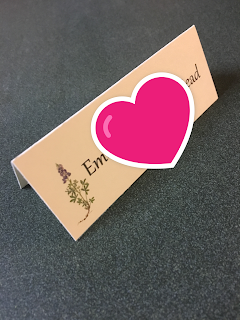 I printed the name cards, got a pretty wildflower plate to place tissues on for anyone who may need them during the ceremony, and framed a "Remembering your loved ones" sign that I had made. Everything was coming together nicely, but I felt like something was missing. I texted the head of our board and told her that I wanted to plant seeds to start little plants for the families for the next ceremony we have scheduled. I apologized that I hadn't thought of it sooner, so that I could have done it for this one. I let her know I would pick a flower, like forget-me-knots, and get them ready for the next Remembrance Ceremony. I went ahead and bought the seeds and starter set so I would have it for next time. Not more than an hour or two later I was walking in to Target and you won't believe what I found... tiny little pots with flowers in them, and of course... some of them were forget-me-nots. I looked up and said "thank you Rowan" taking it as a sign. I texted the head of the board and told her I was going to buy all of them that they had in the New Braunfels Target. 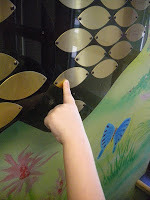 Then, I started counting them out, and I burst into tears. No joke- there were 39 flower pots. 39! 39 is the number of families we had invited, the number of name cards I had printed, the number of children we were honoring last night. I couldn't believe what a God-wink that was. It made her cry too when I texted her, heck it even made the cashier cry when I explained why I was buying them all! So special. There were tears of course, but there were also smiles, hugs, friendships formed, families reunited with special staff members, and we accomplished our mission... there was indeed a semblance of peace. Families were able to share with other families, people who have experienced similar losses, parents who understood. Child Life had an area for the siblings to play before the ceremony, so the adults could mingle and share their stories with each other and with staff members. I was impressed by many things. First of all, I was proud of what the Family Advisory Board was able to bring to fruition in conjunction with the hospital staff. Second, I was blown away by the attendance and support of the hospital staff. From maintenance, to the cafeteria, to nurses, doctors, transport, therapy dogs, administration and leadership...the atrium was full of employees from Methodist Children's Hospital... actually calling them employees didn't fit last night. The Methodist Children's Hospital "Family" was present, and played a huge role in the event. 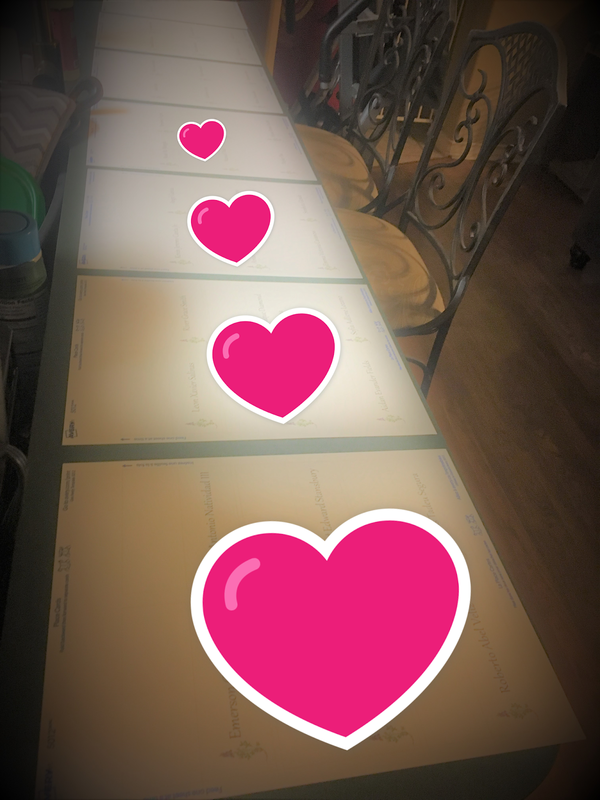 Finally, the families that came impressed me. It was so touching to hear their stories. I made friends that I know will be friends for life now. We exchanged phone numbers and emails. I received text messages later that evening. People not just yearning to feel their children's presence again, but families willing to share with us and with each other, and families that sat silent as they listened to other's stories as well. Some lost children at birth, some just hours old, some days old, and some after years (like myself). What I loved most was that while I was consoling a mother and father who didn't get to make memories with their child as they grew up, they were simultaneously consoling me for having the strength to relive all of the milestones I did get to share with my son. True grace... that is what I witnessed. Grief with grace. 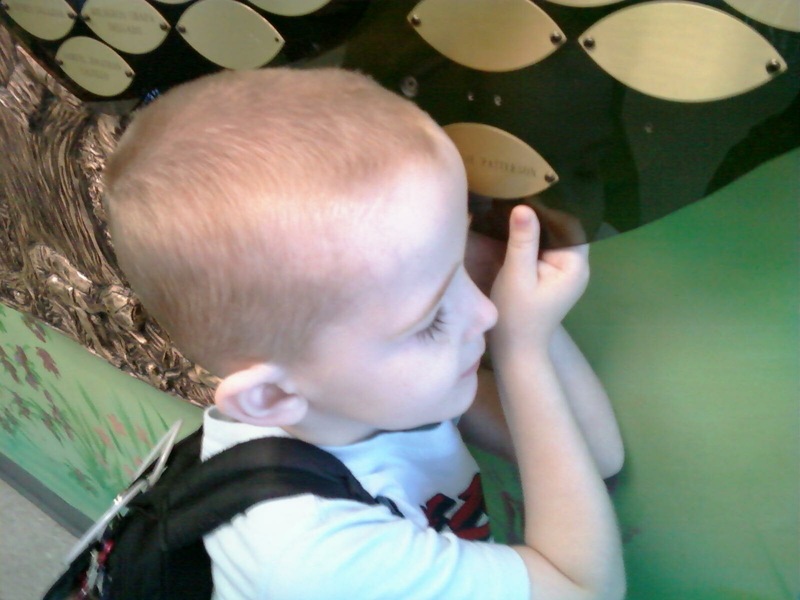 After the opening prayer, reading of the names and the lighting of the tea lights, and closing prayer, families from the last ceremony who had signed up for a memory leaf for their child were invited to come to the front and assist maintenance in installing their child's name plate on one of the memory trees. 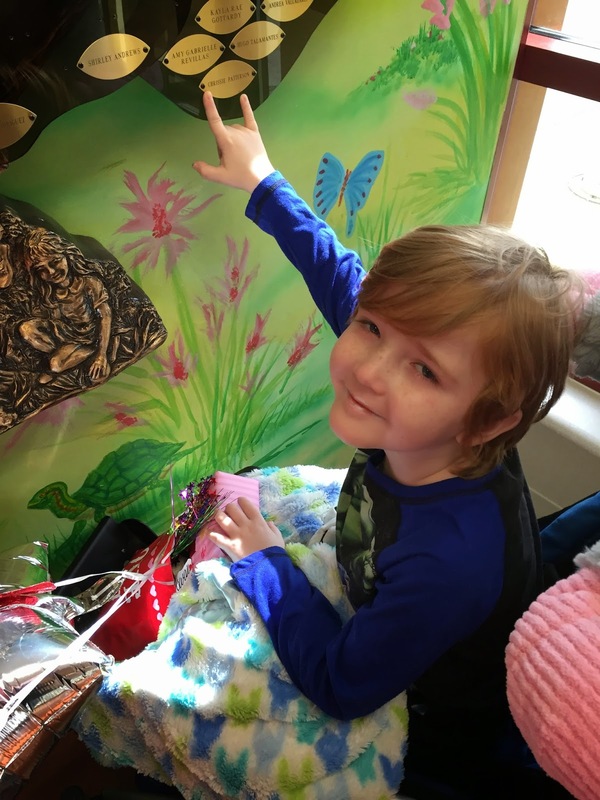 Rowan passed away at Seattle Children's, but he practically lived at Methodist Children's Hospital, spending nearly half of his life inside those walls over his ten short years. So they graciously honored his life too. He received his leaf. He is on the memory tree now. Some of you may recall, Rowan actually pointed to a leaf on the tree when it was located on the 3rd floor many, many years ago and told me "this is the one I want to be on one day". At the time, I was taken aback. I didn't want to think that would ever need to happen, I hoped he would outlive us all. He chose a leaf next to his angel friend Chrissie. He was 3 when she passed away at the age of 4. He wanted his leaf to be right next Chrissie's. 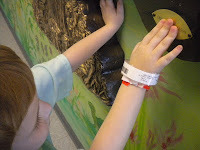 He visited her leaf every time he was at the hospital, for the next 6-7 years. 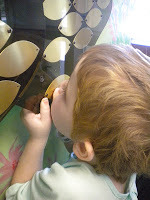 I have so many photos of him kissing her leaf, blowing it kisses, touching it, running his fingers across it like he was reading braille, committing it to memory. and I was honoring his wishes...at last. Thank you for that MCH. Once his leaf was installed, the maintenance man asked me if he could give me a hug. He was so sweet, so understanding. He wasn't just doing a job. He wasn't just using his skills and tools to install our leaves. He was using his heart and soul as well. I hope he knows how much that meant...how much it was evident...how much it was appreciated. What a difference he made last night. On that note, I want to take a moment to thank everyone involved, everyone! Thank you God, MCH, Caitlin, Colin, the FAB board, the Chaplain, the families, and each and every person (and dog) who attended. We ARE better together... last night was proof of that. And Rowan- you did it baby, you got your leaf! I will kiss it, run my fingers across it (and Chrissie's), I will blow it kisses... every single time I step foot in that hospital for as long as I live. I promise you that, son. And I will definitely "forget-you-not". One of my favorite things to do in life is to visit Rowan's friend Charlotte...she's my friend too of course...actually my best little friend, but she was Rowan's friend first. We usually play a board game right away, which she always wins. Then we do some kind of arts and crafts project. We laugh until we are rolling on the floor, we both love puns, and we reminisce about Rowan here and there too. My "Charlotte days", are my favorite days. 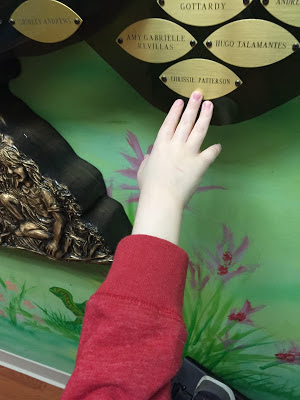 Here are some pictures from my visit with Charlotte just a couple weeks ago. I am seeing her again tomorrow, and I cannot wait! But first I wanted to share a glimpse of our most recent time together. We played SLAPZI (awesome game), and as usual...Charlotte won! 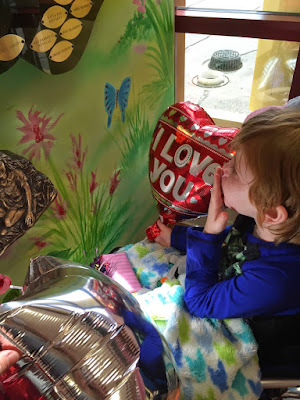 Before we started our Valentine's Crafts, Charlotte remembered that she wanted to show me something. She pulled this beauty out from under the couch. This is Charlotte's scrapbook, she was just sharing it with me, but little does she know, I will carry these precious memories and her beautiful account of them in my heart forever. This is true friendship...a friendship with loss...one where their time together was cut too short...but memories that she still adores, just like I do. After she and I poured over this beautiful book, we decided it was time to craft! With Valentine's Day just around the corner at the time, she helped me try out all of the art projects I would be doing with the patients and their siblings at the hospital. And as always, she helped me put a special "Charlotte" spin on some of them. She is always so creative! Sweet girl made a card to represent she and I too:) Adorable! But I love and cherish them both, every single time. Thanks for being my best little friend Charlotte. Thanks for allowing me to smile, for making me laugh, and for letting me love you. See you tomorrow sweet girl, when we will make one of our greatest masterpieces ever! Can't wait! 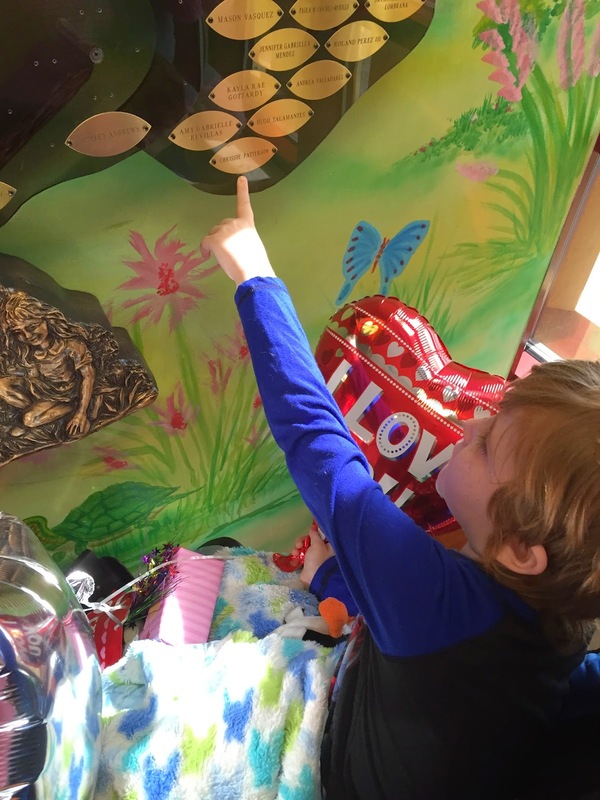 In memory of Rowan's 11th birthday, July 21, we are hosting a virtual birthday party to benefit Methodist Children's Hospital (MCH) in San Antonio, where Rowan spent much of his childhood battling for his life. All gifts purchased through this registry will be delivered in person to MCH on Rowan's birthday, July 21, 2017. The toys will be donated to the Child Life Department at MCH and placed in the new play rooms at MCH for many pediatric patients to enjoy during their hospitalizations. The toys on this registry represent a few of Rowan's favorite things. We all know Rowan had such a huge heart for giving and making the good, so this party in his memory is a way of carrying out his legacy by celebrating and doing the things that mattered most to him. Thank you for being a part of carrying out Rowan's legacy, making the good, and honoring Rowan's powerful life while remembering his 11th birthday on July 21, 2017. Rowan climbed...rather he ran, to the top of Enchanted Rock this past Summer, just a few weeks after getting out of the hospital again. Our hero! Just a little of the hardware...hidden under his gown. Rowan has a g-tube in his stomach for feedings, a broviac central iv line in his chest for nightly intravenous feedings and medicines, and a vp shunt in his head to drain excess spinal fluid from his brain into his abdomen. 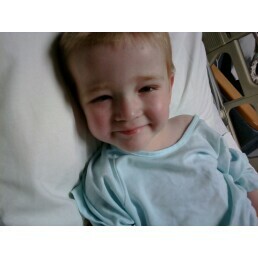 In ICU, post vp shunt surgery...precious angel. 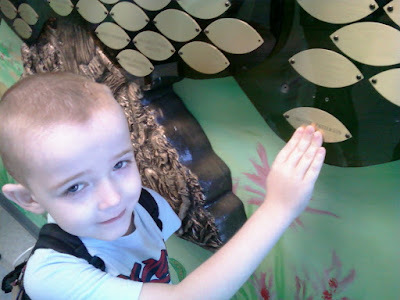 In October of 2010, Rowan started having severe headaches again. 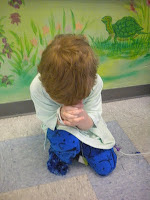 He had two spinal taps, just three days apart due to increased cranial pressures (double or triple what they should be). They removed over 55 ccs of excess spinal fluid trying to relieve his headaches. Eventually, when the pain was just too severe and his pressures weren't coming down, he finally had to have a vp shunt placed. When he woke up the next day, he told one of the doctors that he would give him a free autograph for helping get rid of his headaches. A couple days later, he made a sign for me to put in the window of his hospital room, that he says said "Open for business. Autographs $15. Free drink with purchase". 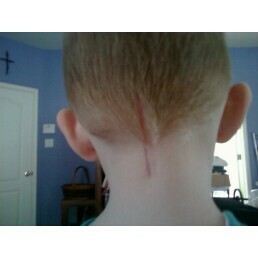 Another battle wound...this one from his Chiari malformation brain surgery. In January of 2009, Rowan had craniectomy/laminectomy surgery to correct a brain malformation that was obstructing his flow of spinal fluid and causing headaches and other neurological symptoms. They removed a small piece of the base of his skull, shrunk up the bottom portion of his brain, and removed part of his C1 and C2 vertebrae to free up space for the spinal fluid to flow. When we told Rowan that he would be going in to the hospital to get his brain fixed, he thought for a minute and then said, "Will I see Logan (favorite nurse) and can I eat baby ice cubes when I wake up?" When we said yes, he simply said "Ok, Let's do it!"